No negotiations can be held with North Korea until it improves its behavior, a White House official said on Wednesday, raising questions about U.S. Secretary of State Rex Tillerson’s offer to begin talks with Pyongyang anytime and without pre-conditions, as Reuters’ Matt Spetalnick and David Brunnstrom report. The Federal Reserve said it would raise short-term interest rates for the third time this year and remained on track to chart a similar path next year, after its two-day policy meeting concluded with new economic forecasts, a policy statement and Fed Chairwoman Janet Yellen’s last scheduled press conference, as the Wall Street Journal reports. The first contingent of U.S. Marines sent back into Afghanistan's turbulent Helmand province to tackle a resurgent Taliban are about to come home, and they will be back in the new year knowing they've accomplished many of the goals they set out to achieve, as CBS News reports. Dive Deeper: See a new report from CSIS’s Anthony Cordesman: The Civil Half of the Afghan War. At least 35 people were killed and 20 others were missing following Saudi-led coalition airstrikes on a military police facility in the Yemeni capital of Sanaa on Wednesday, as CNN reports. New research looking into the Arctic's past using ice cores, fossils, corals, and shells as stand-ins for temperature measurements show that Arctic ocean temperatures are rising and sea ice levels are falling at rates not seen in the last 1,500 years. — Secretary of State Rex Tillerson at the Atlantic Council. 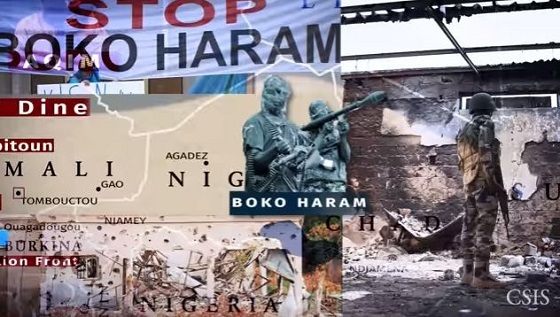 “Violent Extremism in the Sahel,” is a CSIS original video on the violent extremism organizations in West Africa’s Sahel region, whose expanding power is destabilizing the region. Dive Deeper: CSIS’s Jennifer Cooke, Boris Toucas, and Katrin Heger authored a commentary on the G5 Sahel Joint Force, a partnership created to combat armed extremist groups in the Sahel region. (Photo credit: Abbas Momani/AFP/Getty Images). 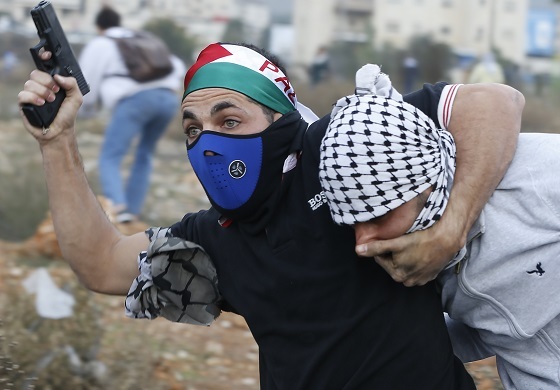 An undercover Israeli policeman detains a Palestinian protester during clashes following a demonstration in the West Bank city of Ramallah today. And, at 12:30 p.m., join CNAS for a discussion on the future of the U.S.-South Korean alliance. Today, CSIS hosted former U.S. trade representative Michael Froman for a discussion on the current challenges facing free trade. In the latest episode of Smart Women, Smart Power, two students from Sidwell Friends School in Washington discuss their nonprofit organization supporting literacy for girls in Pakistan and other developing countries. It’s never too early to start with the holiday smiles. I absolutely love this one by the Boss.